Should I or Shouldn’t I Join a Grief Support Group? Donna stood outside in the parking lot, in the dark, trying to talk herself into entering the building. Once in the door, the next step would be to take the stairway to the conference room. The thought of it caused her palms to sweat and her heart pound. Then what? She would need to enter the room to meet a room-full of strangers who were likely grieving just like her. “What did I get myself into?” she questioned. “Will I have to speak? What will people think about me? What if I cry?” Her fears were beginning to overcome her choice for joining a grief group. This raised her anxiety level even more. She tried to visualize someone else contemplating the same decision and wondered, “Is it possible someone else might bound out of the car and enter the room eager for the same experience? Why am I afraid? The truth is over the twenty plus years that we’ve been facilitating education/support groups, participants have expressed these feelings both ways. The idea of attending a support group to some people is intimidating. Let me suggest that sharing the experience with someone else going through the loss of a loved one far outweighs the burden of thinking grief is something I should be able to handle on my own. Here are some basic points to consider as you weigh the choice of attending a group. Knowing what to expect might be the comfort you need to join. 1.Grief groups aren’t just for wailing women. Our earlier culture depicted women as the wailers and grievers in the family, while men were meant to be stoic and hold the family together. Today’s groups are a mixture of men and women, young and old, relationships of every kind, and death situations that vary from sudden to anticipated to traumatic. Grief has no boundaries. 2. Grief groups dynamics may differ. We are all individuals with unique expectations. Like most encounters in life, something needs to “click” for you to feel comfortable with someone you are meeting and sharing personal information with. How many times have you changed doctors, teachers at school, neighbors, or friendships just because they didn’t click? Give your group a “try” and if it doesn’t work, look for another option. 3. Not all grief groups are alike. Be aware of the kind of group you join. Some are educational, some are faith-based, some are sharing groups. There are also drop-in groups where you go when you feel like it. Or there are open-end groups that typically meet about once a month and participants change frequently. Closed groups typically run for a set number of weeks and participants attend consecutive weeks. 4. Grief groups are not formal therapy or professional counseling sessions. They are an assembly of individuals facing a similar experience. It’s a place to find comfort when another person’s experience feels similar to yours. 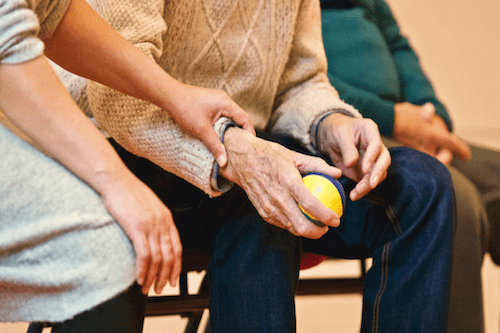 Groups are a place to share and support, but not to get professional advice on how to deal with the specifics of your loss or other problems that result from loss. 5. You may not be “ready” to attend a grief support group. If it’s too early in your grief, the thought of sharing feelings might be overwhelming. You may also be looking for instant validation that grief gets easier, and the truth is it takes time. There are no quick fixes. You know yourself best. Some people are ready in weeks, for others it may takes months or years before they are ready to accept the loss and moving forward. 6. Grief groups are not just a place to vent about your sadness, your uncertainty, your fears, and your shoulda, woulda, and coulda thoughts. It’s a place to learn how to replace these insecurities with action plans to help you move past your hardest moments. 7. Grief groups allow you to voice your regrets and acknowledge outbursts of anger and guilt. After all, these are the real. You are protesting how loss has changed your life. These often-hidden emotions of grief can be uncovered and neutralized with positive grief work. 8. Grief groups will not take away all of your pain or grief. They are meant to help you through the difficult days and give you coping skills to manage your loss until you learn to live with it. You can live with it when you understand it; and it doesn’t consume every waking moment. 9. Grief groups are a place for stories and memories. After all, it’s the positive memories that remain long after the pain of grief. They are the keepsakes that honor the lives of our loved ones. Though some memories may fade, others will continue to bring you peace and joy! 10. Grief groups can help you discover choices that may enrich your life in the future. Healing your grief sometimes involves difficult choices, forward planning, and perseverance. No one can “grieve” for you or determine your future path. You will be challenged by changing values and priorities. A grief group can help you recognize your options. 11. Grief groups avoid judgment. As the cliché goes “You can’t understand someone until you’ve walked a mile in their shoes.” Grief groups provide a safe place and avoid comparison. No one can determine that his or her loss is more significant than another’s. 12. Grief groups help you understand that familial and social relationships are often misunderstood following a death. You may even find fighting within the family and your support system may seem to crumble. Understand the combination of factors that might be the trigger. While the group can’t resolve your problems, it may help you get a new perspective on how to rebuild the peace. 13. Grief groups respect the role of all religions and spirituality in grief. Some groups build their support around Biblical verse, teachings, and consolation. Others recognize that sometimes grief challenges one’s faith for a period-of-time. Groups may offer practical everyday ways to heal one’s wounded faith. Any group should welcome participants to share their beliefs as part of their healing process. 14. Grief groups offer Hope. Grief groups help rebuild self-esteem, establish resiliency, and create stability. After significant loss, you are forever changed. Discovering your new normal and the “new you” reveals so many possibilities for future growth and empathy. 15. Ultimately, grief groups serve a purpose other than admitting that loss hurts. It’s a place to recognize that you are not alone. It’s a place to surrender your hurt and allow others to absorb your pain along with their own. It’s a place to heal. Don’t pass up this opportunity on your grief journey. We make a lot of choices in life and when loss has complicated our day-to-day existence, choose to allow others to understand you, nurture you, and offer you their friendship. Grief groups don’t need to be scary. They can be the best choice you make in living after loss. In 2018, Wings-a Grief Education Ministry will celebrate its 25th anniversary as a non-profit organization. Wings was created as a ministry of hope by Nan and Gary Zastrow after the death of their son, Chad Zastrow. On April 16, 1993, Chad died as a result of suicide. Nan is the author of five books, a quarterly online grief eLetter and dozens of articles published in various resources. 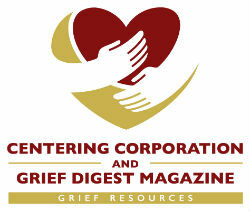 Since 2003, Nan regularly publishes articles in Grief Digest Magazine. Visit the website at: www.wingsgrief.org or the Wings Facebook page.